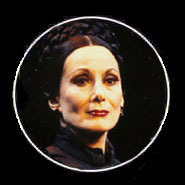 Silke has created an interesting Phanphic that traces the legend of the Phantom from Madame Giry's point of view. This includes how she met the Phantom at a traveling fair and her life up until and including the now legendary events surrounding the Opera Ghost. I believe it is a work in progress but it looks great so far! The Diary is extremely well written (despite Silke's claim that her German interferes with the translation :) and has a great deal of detail. Links to the respective chapters are listed below. Enjoy!